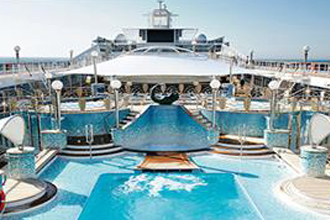 Whether a romantic getaway or a fun family vacation, the elegant 92,627-ton, 2,550-guest MSC Poesia will make your vacation one of a lifetime. 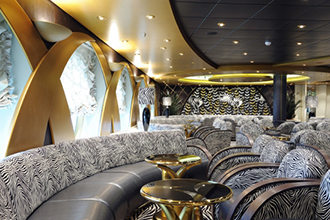 So beautiful, that her name means "poetry" in Italian, it is no wonder this Musica Class ship is so popular. 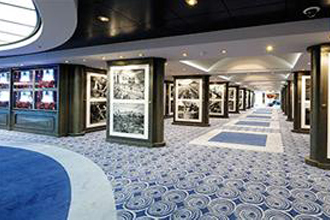 Featuring almost 20 bars with different themes — including a wine-tasting bar, incredible restaurants with mouthwatering dishes that will please the most sophisticated palates and stunning accommodations, this is the ship for everyone. 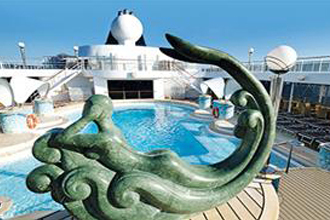 Enjoy the modern MSC Poesia, with a huge 12,000-square-foot spa and fitness center. Indulge your senses in pampering Turkish baths and Balinese massages. 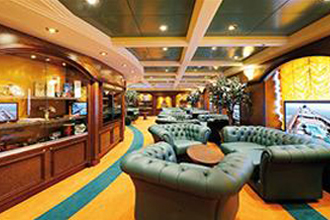 Melt your cares away at the peaceful Solarium. 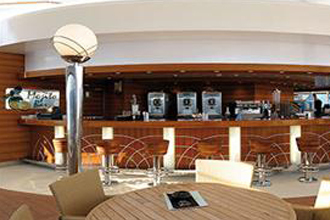 Relax at one of the five pools or go jogging on the track. Take a yoga or Pilates class that you never find time for back home. Family fun includes tennis and mini-golf. Activities and youth programs for kids will keep them happy and busy, while teens also have their special area where they can play virtual games and more. 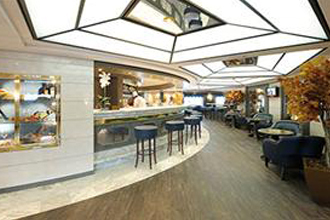 Find a favorite item to bring home at the onboard duty-free shops, catch up on your reading at the library or head to a private room just for cigar aficionados. 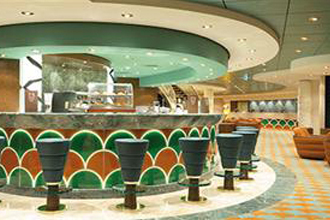 Take a culinary journey as you savor mouthwatering cuisine and other international dishes. 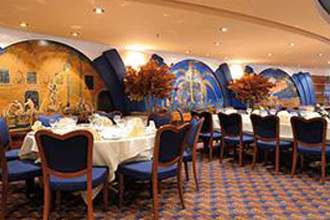 Various dining choices are available at their beautiful two main dining rooms, which also feature vegetarian dishes and other healthy choices. Have amazing Dim Sum at the specialty Chinese restaurant. Scrumptious fresh hot pizza is unforgettable and may be the best you ever had. 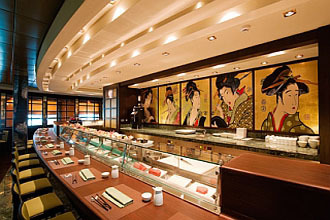 Treat your taste buds to fabulous sashimi, tempura and more at the popular sushi bar. Convenient room service is also offered 24/7. Retreat to delightful accommodations where you will feel completely at home after an exciting day, including Interior, Balcony, Oceanview and stunning Balcony Suites. All boast a phone, hair dryer, TV, safe, mini-bar and Internet service for those bringing their own laptops. 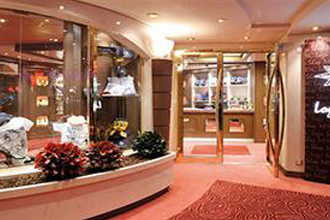 Some have connecting doors, making them a perfect choice for multi-generational cruisers. 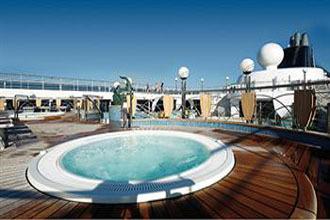 Wheelchair accessible staterooms are also available. 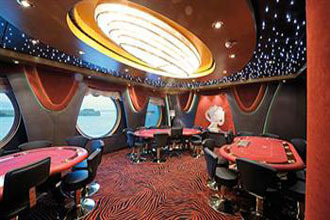 Exciting evenings include a casino with all your favorite games and lavish musicals at the striking theater. 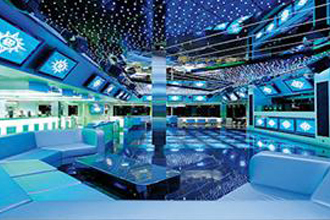 Let loose as you dance the night away at the disco, complete with its own bar. Head outdoors and watch a new movie on the huge outdoor LED screen for an unforgettable experience under the stars. 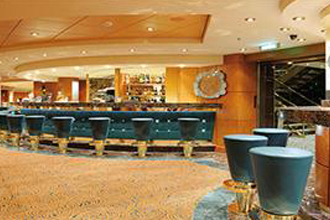 Bring your family and friends along for the vacation of a lifetime on the fun and elegant MSC Poesia. 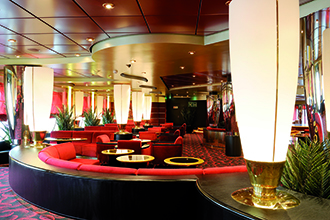 Cruise on the MSC Poesia to worldwide destinations. Double bed that can be converted to two single beds (on request), except staterooms for guests with disabilities or reduced mobility. **Air conditioning, bathroom with shower, interactive TV, telephone, wireless internet access (for a fee), mini bar, safe, Air conditioning. 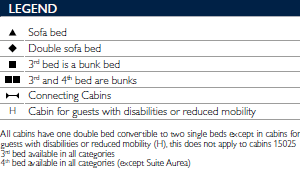 Size, layout and furniture may vary from that shown (within the same cabin category), This is not apply to cabin 15025, This size range includes both standard cabins and cabins for guests with disabilities or reduced mobility, which are larger. Double bed that can be converted to two single beds (on request), except staterooms for guests with disabilities or reduced mobility.Air conditioning, bathroom with shower, interactive TV, telephone, wireless internet access (for a fee), mini bar, safe, Air conditioning. 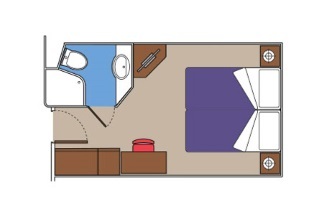 Size, layout and furniture may vary from that shown (within the same cabin category).The image is representative only. 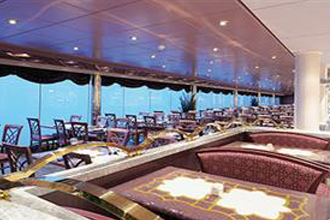 This size range includes both standard cabins and cabins for guests with disabilities or reduced mobility, which are larger. Double bed that can be converted to two single beds (on request), except staterooms for guests with disabilities or reduced mobility.Air conditioning, bathroom with shower, interactive TV, telephone, wireless internet access (for a fee), mini bar, safe, Air conditioning. 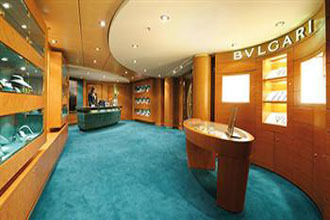 Size, layout and furniture may vary from that shown (within the same cabin category).The image is representative only. 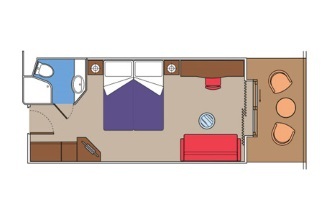 Double bed that can be converted to two single beds (on request), except staterooms for guests with disabilities or reduced mobility.Air conditioning, bathroom with shower, interactive TV, telephone, wireless internet access (for a fee), mini bar, safe, Air conditioning. 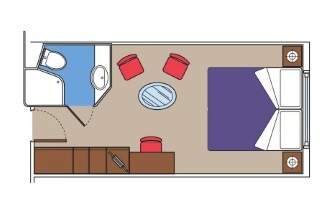 Size, layout and furniture may vary from that shown (within the same cabin category), This size range includes both standard cabins and cabins for guests with disabilities or reduced mobility, which are larger. Double bed that can be converted to two single beds (on request).Air conditioning, spacious wardrobe, bathroom with bathtub, interactive TV, telephone, wireless internet access (for a fee), mini bar, safe. 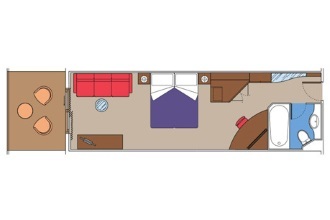 Size, layout and furniture may vary from that shown (within the same cabin category).The image is representative only. Children Outdoor Pool & Games. ll Grappolo d'Oro Wine bar. 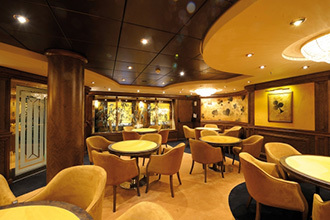 The Hitchcock Lounge Cigar Room.